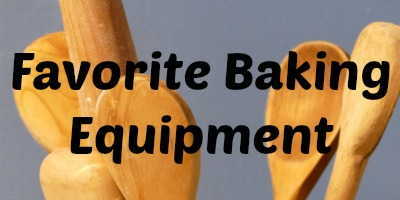 I have been busy for a while, getting my life on track, and I have not been able to bake much lately. So today I am very happy! I am baking!! 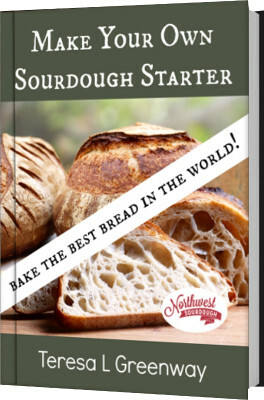 I am baking sourdough!! What is more fun?.. no don’t answer that, just trust me it is very fun! I started this batch last night. I wanted to do an overnight bulk ferment at room temperature. 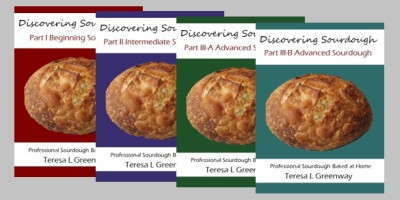 This way of bulk fermenting is great because you leave your dough out overnight at room temperature. The next morning when you go to shape it, it is warm, lively dough, not cold, dead feeling dough like it is when your retard it overnight in your refrigerator. Mix these three ingredients together and expect the dough to be somewhat stiff but still sticky. Allow the dough to autolyse for 30 minutes. When the dough is this thick the gluten bonds well, you should have some great development in your dough after the 30 minutes of autolyse is done. Mix the flour in well. Then cover the bowl of dough well and let it set out overnight at room temperature (I did fold the dough twice before I went to bed). Now you will be shocked but this dough formula makes 3 lbs 8.6 oz/ 1604g of dough @ 80.6% hydration!!! Wow! It is a sham though, because the seeds soaked up a great deal of the water. 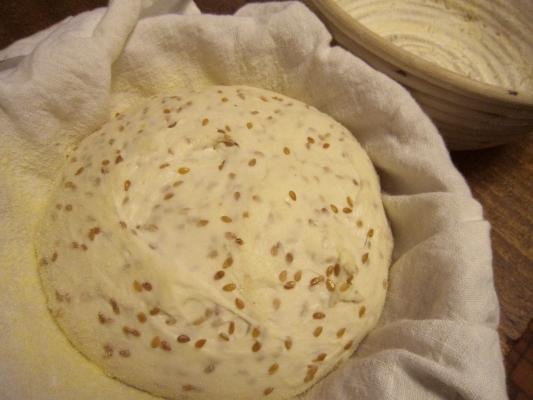 The dough is more sticky than usual dough because of the mucilage of the seeds. It should be a sticky wet dough that still is very easy to handle if you handle it correctly. Keep your fingers wet, spray the working surface with water or oil and handle the dough quickly, keeping your hands clean. The dough feels wonderful with great gluten development by morning. In the morning (7 a.m. for me) divide the dough into two pieces. 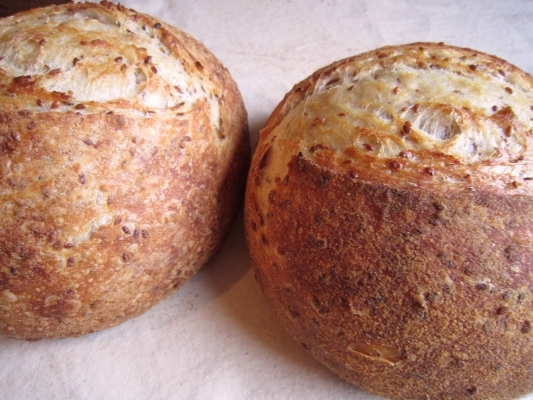 Shape boules and place them in bannetons. 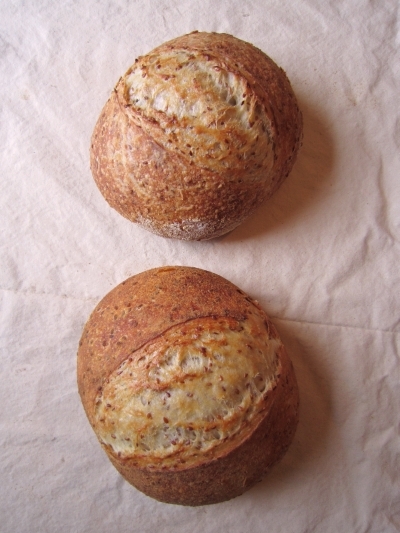 I staggered the shaping of the second boule 30 minutes after the first. These boules took almost 3.5 hours to proof. I had my oven and stone preheated to 450F and put in my roasting pan lid to preheat a few minutes before the first loaf went in. 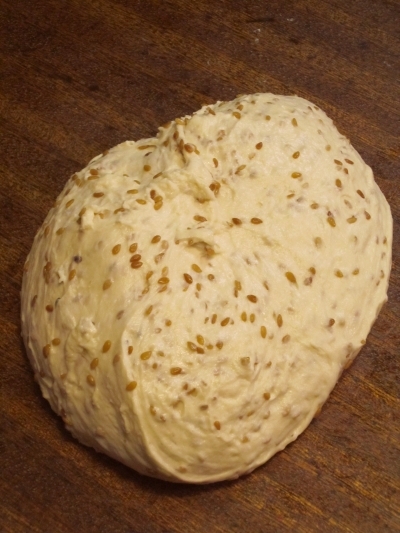 When the first loaf was ready (this dough did not show a lot of bubbly activity, it was somewhat quiet and slow to rise), I slashed the dough once, placed it on the hot stone, then sprayed the loaf once all over and placed the hot roasting lid over it. I baked it this way for 20 minutes. Then I took off the lid and allowed the loaf to brown for 15 more minutes, turning it during the baking time so it would brown evenly. Remove and cool loaf. Then repeat the baking with the second loaf. This bread is super yummy! 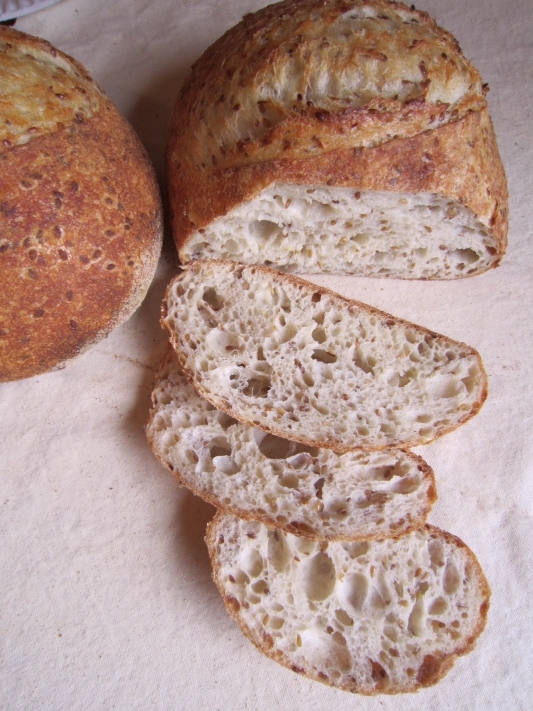 The crumb is moist and custardy and is full of lovely holes. 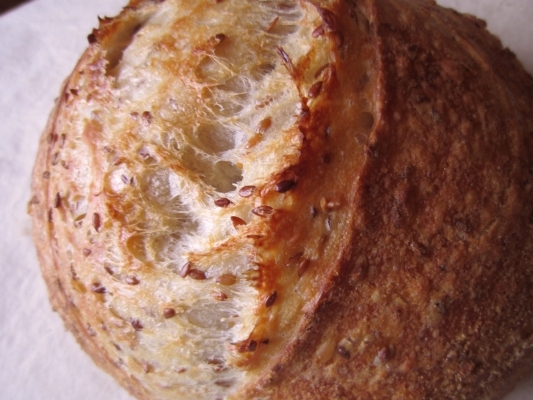 The smell and taste of roasted flax seeds permeates the whole loaf and is delicious. 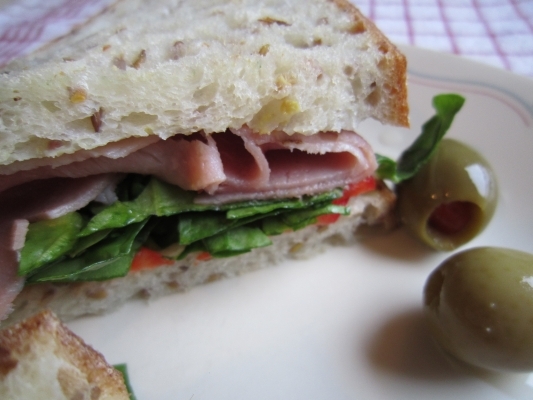 This would make great sandwich bread if the mayo didnt fall out (I don’t like mayo anyway, I prefer to use Caesar salad dressing instead of mayo, tastes much better!). 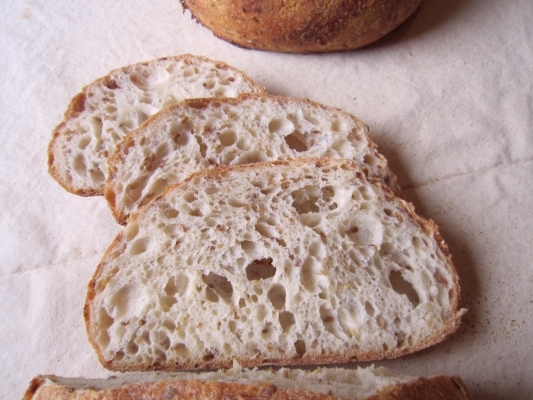 You really need to try this…..
To learn how to bake more breads like this, consider joining my sourdough baking course here:Real Artisan Sourdough Baking. 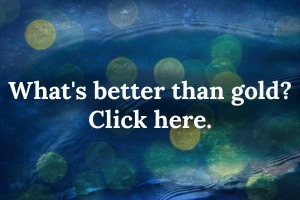 It is self paced and you can go back and access it for the rest of your life. How cool is that?